TV broadcast operators need to improve their TV viewer experiences to compete with new innovative competitors. Kurt Michel, VP of Seachange Marketing explained to me at the IBC show that an increasing number of broadcast customers are shaving TV services or churning to other TV and content services providers. 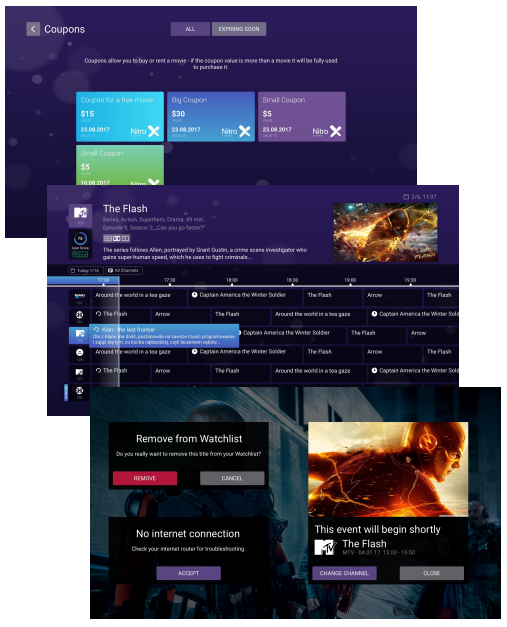 To solve this challenge, Seachange created cView which allows broadcasters to personalize broadcast services to viewers, increasing consumption and revenue, while decreasing churn. Kurt explained that broadcasters need a bridge to connect legacy, IP, OTT and multiscreen platforms in ways that allow for the creation of new video services that can provide personalized user experiences. This software needs to work with Android TV, hybrid set top boxes, and other platforms. A key requirement for the cView system is to provide simple ways to setup and support new services and devices. It is important for the system to allow the continued use of existing set top box (STB) subscribers while expanding services to new systems and devices. The migration of viewer experiences from legacy services to new capabilities needs to be gradual with minimal (if any) disruption. This allows the viewers to discover and user new service while they are building value for the TV broadcaster’s brand. The TV operator needs to be take advantage of the more efficient unmanaged OTT services to increase profit margins. cView has also developed an Android Operator Tier (AOT) that provides a fully branded viewing experience that starts with the launch screen.